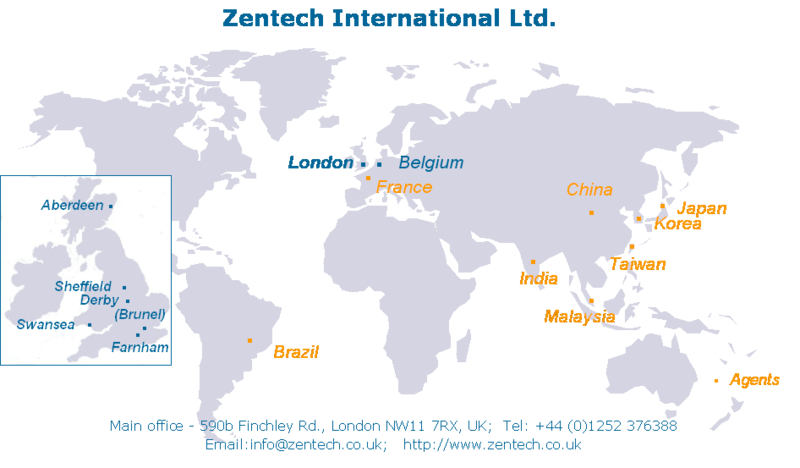 Zentech has always recognised the benefit of consultancy services to the ongoing development of successful software; only through regular application to real-world problems can our programs evolve and continue to be relevant. Founded as an engineering and software development consultancy, the company has maintained both aspects of these services from the beginning. Consultancy activities have ranged from small jobs lasting only a few days to large scale projects spanning many months. Engineering analysis for these projects has ranged from hand calculations to complex non-linear finite element analysis. 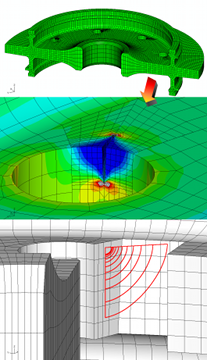 In continuous development since 1990, our main software Zencrack has achieved many milestones, notably the development of a true-3D fatigue crack propagation facility (through a 3-year project with Wright Patterson Research Station at Dayton, Ohio) and, more recently, the development of an Abaqus/CAE plug-in enabling the creation of a complete Zencrack input file through interaction with the FE mesh. We also collaborate with universities and industry in the research and development of engineering theories and techniques. A recent project, DISPLACE, was a TSB-funded development of 'technology to increase the life & reliability of advanced lightweight Ni-based gas turbine discs'. Zentech is a corporate member of The National Agency for Finite Element Methods and Standards (NAFEMS) and a member of the UK Forum for Engineering Structural Integrity (FESI) .